Home / Head to Head / Catia vs SolidWorks vs AutoCAD: Which is Best? Today’s 3D modeling community has a wide variety of 3D modeling software to choose from, with upgrades that come out each year and new and improved types of software for every purpose imaginable. However the leading 3D modeling software developing such as Dassault Systems and Autodesk still claim the majority of the market. We do an in-depth review of Catia vs SolidWorks vs AutoCAD. We hope this will help you choose the best CAD software for your needs. 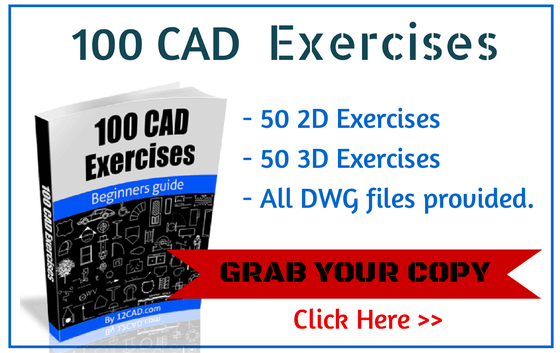 Before we move on with our comparison between SolidWorks and AutoCAD – we strongly recommend getting our 100 CAD Exercises eBOOK ! One of Dassault’s front runners in the past years, with an astonishing number of 1.5 million licenses and a great number of pirate users has been SolidWorks. With an annual upgrade and multiple versions, SolidWorks is a parametric, solid modeler which uses features based approach to create models and assemblies. In addition SolidWorks has created a number of modules purposed for different domains in the industry, such as SolidWorks Plastics, which allows a better workflow and a preliminary analysis of the manufacturing of plastic products; SolidWorks MBD (Model Based Definition) used for the manipulating with all data of the model intended for manufacturing; CircuitWorks, a module specialized for the electrical aspect of a product or a system. What is SolidWorks used for? As one of Dassault System’s most appreciated, CATIA is advertised as a complex high-end 3D modeling software. CATIA is a slightly more mechanically oriented and links the user to the manufacturing process, early in the product development phase. It combines high- end precise solid modeling, detailed analysis and simulation of the model and it allows the user to examine the model or system in its operating environment. CATIA Engineering enables the creation of any type of 3D assembly, for a wide variety of engineering processes. It connects all parties included in the process by allowing them to exchange data while developing the model, and uses performance based systems engineering approach that minimizes the production cost. Mechanical engineering and systems engineering. CATIA enables the design of electronic, electrical, and distributed systems along with the technical documentation needed for manufacturing. AutoCAD is one of the first CAD programs to run on personal computers back in 1982, and since then it has been upgraded into 2D and 3D computer aided drafting software used in multiple industries such as architecture, construction, producing manufacturing blueprints and engineering applications. When it was first developed AutoCAD was focused on the creation of 2D drawings and technical documentation. 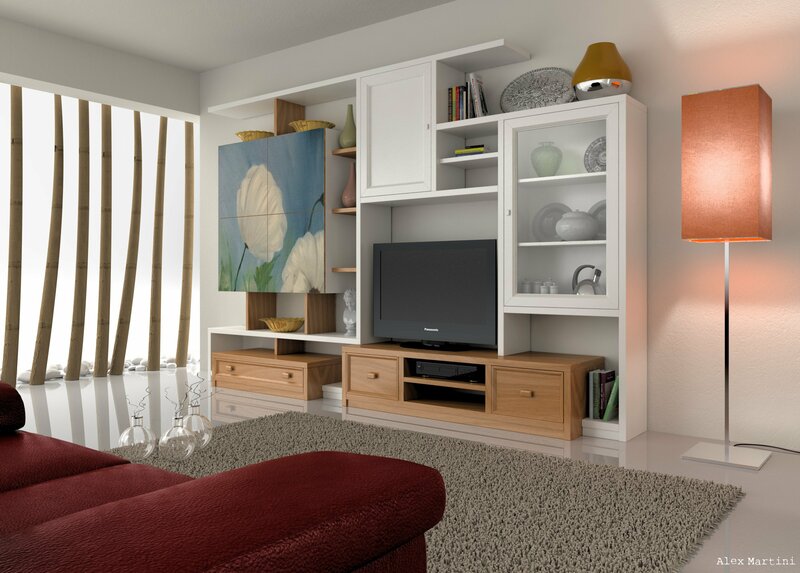 Today’s version of AutoCAD features a full set of basic solid modeling and 3D tools, high quality renderings with the integration of the mental ray engine included in rendering, parametric functionality and mesh modeling. AutoCAD has also established DWG (drawing), their native file format for as a basic standard for CAD data interoperability. 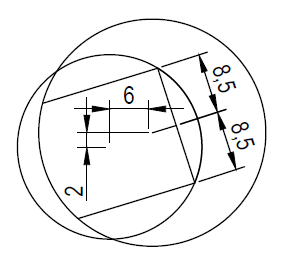 Mechanical drafting – technical drawings and 3D models for machines and devices. Architectural drafting- creating plans for residential and commercial buildings. Civil drafting – creating plans used for building roadways, bridges and other public service units. Electrical drafting – preparation of schematics for wiring electrical systems. Electronics drafting – preparation of layouts for the electrical installation and repairing of electronic gadgets. 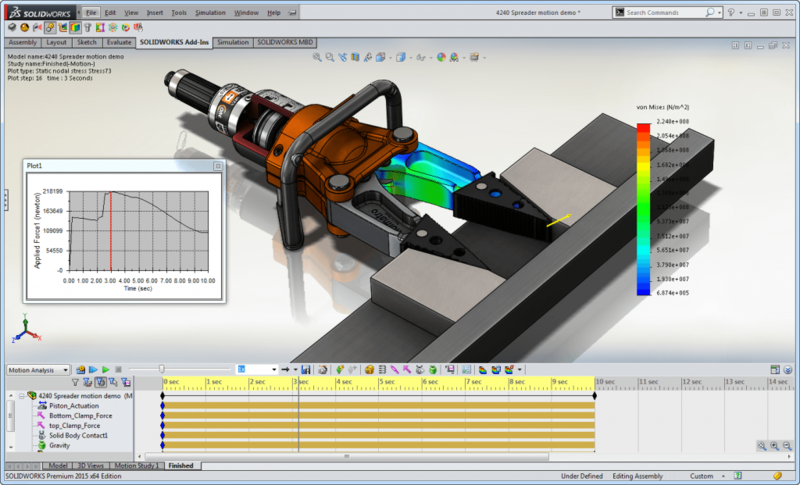 Because of its wide usage in different domains, Autodesk has also developed a number of vertical programs such as AutoCAD Architecture (architectural applications ), Civil Design (public service unit planning), AutoCAD Electrical, AutoCAD Civil 3D, AutoCAD Map 3D, AutoCAD Mechanical, AutoCAD MEP, AutoCAD P&ID, AutoCAD Plant 3D and AutoCAD Structural Detailing. Having the basic information for the 3 leading 3D solid modeling software, we can focus on their comparison. All three modeling softwares are widely used and praised, but their general comparison is hard to conduct due to some fundamental differences in their purpose and features. The comparison of Catia vs Solidworks vs AutoCAD is going to be shown through a repartition into different fields and based on experts and user’s experience and analysis. The main categories in which these softwares are used are architectural, design, electrics and mechanics. With CATIA and AutoCAD being adapted to all four, in this category Solidworks has the poorest qualities amongst the three due to the lack of features that would initiate its usage in the architectural sector. The user interface criteria is the ease and intuitivism that characterizes the use of each software. In this category SolidWorks has the best performances. New users have no problem getting accustomed and statistically SolidWorks takes the least time to be learnt. 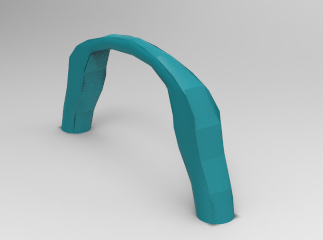 Surface modeling features come in handy when dealing with complex organic models and fluid forms that are most commonly present in plastic products. With the basic options like heal, trim and create organic shapes, CATIA has the last place in this category with performances similar to those of AutoCAD, whereas SolidWorks has a well-equipped Surface modeling menu that recreates and deals with the most organic shapes found in products. Being able to have multiple user reviews or a quick conversion with no middle man applications for 3D printing are just examples of some of the useful collaborative features that are implemented in 3D softwares nowadays. SolidWorks once more has the poorest performance in the category with the lack of 3D printing features and 2D to 3D CAD conversions. 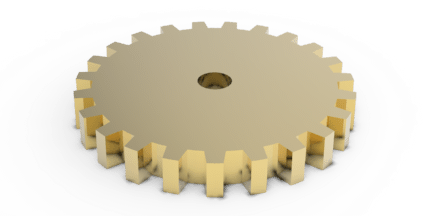 With an astonishing number of 22 readable and 21 writable file formats, SolidWorks dominates this category. The list of file formats that can be manipulated in these software includes: IGES, IGS, JPEG, Parasolid,PARASOLID XT, PDF, DWG, STP, TIF/TIFF, VRML, WRL, DXF and etc.